If you are looking for a very unusual and unforgettable incentive activity in Andalusia, Southern Spain, look no further ! We organize motorbike rides inland Andalucia with real Harley Davidson machines to make you discover the amazing beauties of the place. You don't have a motorbike driving license ? No problem, this incentive activity has been designed with this in mind. You will ride as a passenger of the bikes, so being able to fully enjoy the panoramic views and feel like a real "Black Angel" without having anything to worry about. 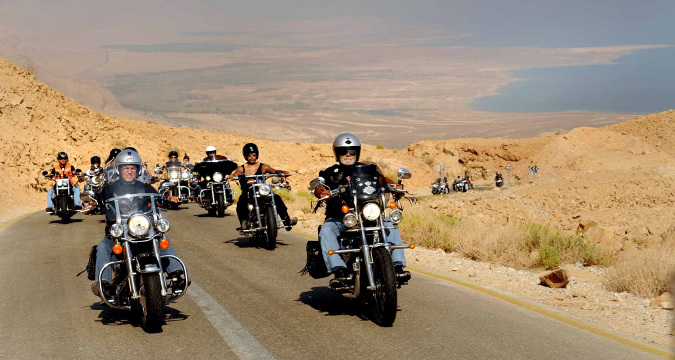 Our Harley motorbike taylor-made routes are ideal incentive activities for corporate events and groups looking for exclusive and original experiences in Spain.